Artist Andrea Evans’ exhibition is on view in the Common Ground Gallery at VisArts from October 19 – November 18, 2018. Tour the gallery with the artist to learn about her silverpoint drawing works, then create your own! Silverpoint drawing is a technique that dates back to the medieval period, which was particularly favored in the Renaissance by artists such as Leonardo da Vinci and Albrecht Dürer. This detail-oriented drawing technique uses an actual piece of silver as a drawing tool. 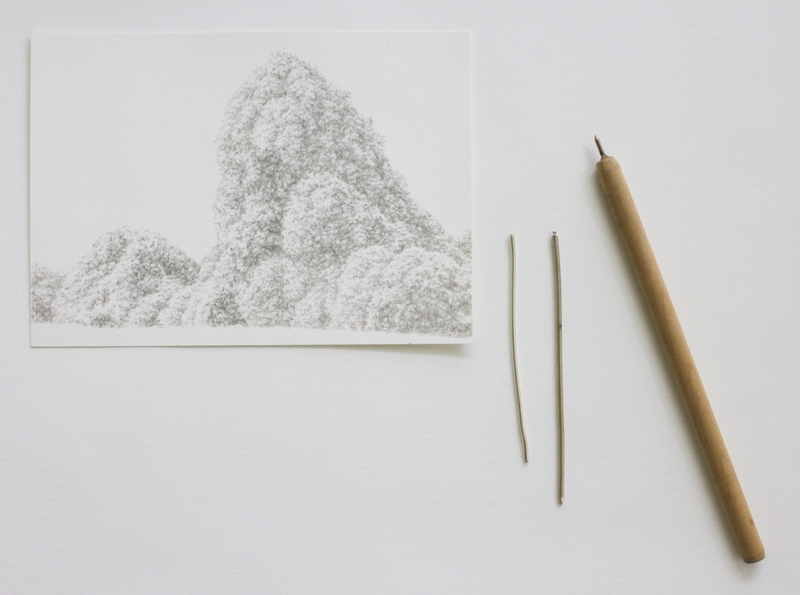 In this workshop, participants will learn how to prepare paper with a modern silverpoint ground, make a silverpoint stylus, and learn different mark-making techniques used in silverpoint drawing.